Hospitality, Hotel and Resort Social Media Marketing. Hotel Marketing, Social Media and Online Advertising Plan for The Woodstock Inn. BURLINGTON, VT--(Marketwire - March 26, 2009) - Bringing social media, landing pages and online marketing to The Woodstock Inn's hotel marketing by Burlington, Vermont agency Shark Communications represents a marketing model increasingly being embraced by the Travel and Hospitality industry. Shark's mix of market positioning, branding and online and social media marketing is a dramatic shift from traditional hotel marketing programs that appropriate expenditures to different media without an integrated strategy. Located in Woodstock, Vermont, which has been called "...one of America's prettiest towns," The Woodstock Inn's marketing (managed by Shark), now relies more heavily on the use of online media -- especially landing pages for the hotel's customer acquisition. 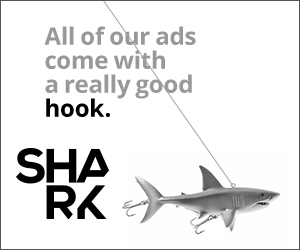 The landing pages Shark develops for the Inn & Resort generally consist of simplified, organized special offers and packages that are placed on a well-optimized, single web page that then links directly to a booking engine or the Inn's central web site. Landing pages can generally be deployed relatively quickly with visitor traffic cultivated through online advertising, Search Engine Marketing, and optimized PR. To deepen and extend customer relationships, an online loyalty program linked to a branded hotel social media web site was created by Shark, which the agency then markets through popular social media sites such as Facebook and Twitter. Hats off to Erika White and Eva Sollberger who helped Shark produce a spiffy little video on GEM cars (electric) for our client Green Mountain Power - check it here. We then posted it on various social media and video sharing sites and Chrysler tracked us down and wants to feature it on their web site. It helped the client understand the value of social media, especially as search engines turn their periscopes to the content on popular networks. Should I send customers to Facebook or my own branded community? As the social media manager at Shark, I'm starting to realize that people don’t just use social networks - they use us - or at least they want to. When I fool around on Facebook or Twitter, I am adding value to their network. Facebook serves up ads and Twitter is still searching for a way to provide some kind of revenue model. Funny thing is, the ads aren’t selling on the major platforms. It seems that the experience is different from search where the ad click-thru is much much more productive. But the whole thing has gotten me more concerned with the idea of just putting up Facebook pages and leaving potential customers in their hands. So, migrating them into private, branded networks, where we control the links, the look and feel, the ads - everything looks more like the future to me. Alex. Check it out, it's in development. Branded Social Communities 'R Us. On May 1 we launch a new branded social network for The Woodstock Inn and "environs" (That's french for the area). It integrates a variety of new media with a focus on migrating people off of popular media into a community that has more potential to prevent customer loss to extraneous advertising - sometimes the case on Facebook, and more power to develop customer loyalty. It integrates lots of video (Alex's push) and live Twitter feeds. We're getting closer to launching Yachtwhere's Private Mobile Tracking Pages for the world's yachts www.yachtwhere.com or click on the image and visit!.